Team Sunweb has confirmed that Sam Oomen will replace Wilco Kelderman at the Giro d'Italia roster. Tom Dumoulin was hoping that the rider would support him at the Italian race. Kelderman suffered a crash at the Volta a Catalunya that left him with a broken collarbone and a neck vertebrae fracture. Dumoulin stated that he hoped Oomen to come along with him to the Italian grand tour, and now the team has confirmed this and added that he will be heading to an altitude camp to prepare for it. 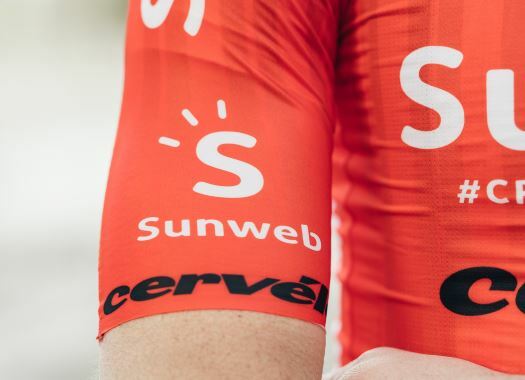 "The Giro is our primary season goal and with the inclusion of Sam we aim to send the best possible team to Italy," said Sunweb's Giro d'Italia coach Marc Reef. "Sam will head to high altitude camp to maximise the final weeks before we head to Bologna. "He will have the opportunity to grow into the race, where we are confident he will be up there in support towards the end of week two and three. Last year he was super strong also finishing 9th himself in the GC; the focus this year will be to bring support in the key stages." Oomen looks forward to being next to Dumoulin in the race. "Originally I would have done the Tour this year but things changed lately," he commented. "It’s unfortunate that Wilco can’t do the Giro and it’s hard to replace him, but I will try my best and I’m happy to be there for the team with Tom as our designated leader; he deserves the best support. "It’s likely that it will be a different kind of Giro for me compared to last year, with a different kind of approach. But the Giro is a beautiful race and we will make the best out of it together."